Front view of the Wright 1903 Flyer hanging in the main hall of the Science Museum. Note on back, "Sent by Science Museum." 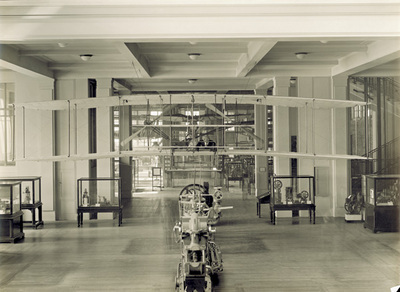 This photograph is attributed to the Science Museum, London, England.